Visualizing Cultures weds images and scholarly commentary in innovative ways to illuminate social and cultural history. Founded in 2002 by MIT Professors John Dower and Shigeru Miyagawa, Visualizing Cultures exploits the unique qualities of the Web as a publishing platform to enable scholars, teachers, and others to: (1) examine large bodies of previously inaccessible images; (2) compose original texts with unlimited numbers of full-color, high-resolution images; and (3) use new technology to explore unprecedented ways of analyzing and presenting images that open windows on modern history. Visualizing Cultures has positioned itself as a nexus between the institutions that house image collections and the scholars who would like to use them for research purposes. Publishing on MIT’s revolutionary OpenCourseWare—making MIT courses freely available on the Web—Visualizing Cultures has worked with many institutions to negotiate online publication of images for educational purposes using a Creative Commons license. 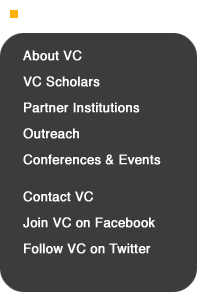 This website offers a growing number of titles referred to as “units.” Choose from the list of current titles on the VC Units Menu. A topical essay written by a Visualizing Cultures scholar and driven by the visuals themselves, often enlarged to reveal telling details. Images are isolated and juxtaposed to highlight diverse perspectives and points. Reading images involves asking who the artists are, when they worked, what mediums they used, and how the audiences of the times responded to them. Graphics dominate the Visual Narratives. Themes from the essay as well as pathways and details within the image collection are explored visually in many different ways—series, close ups, recurring visual motifs, juxtapositions, changing media, and so forth—with a minimum of text. Each unit has an Image Gallery that features every image in the essay. Users easily scroll through the collection of source images. Some Galleries include image metadata and supplemental material. Visualizing Cultures has many short clips that include author commentaries, interviews, tours, animation, and archival source footage. Video is also available for the iPod and other devices on iTunes U.
Visualizing Cultures is a gateway to seeing history through images that once had wide circulation among peoples of different times and places. We do historical research this way as scholars to better understand how people saw themselves, how they saw others including foreigners and enemies, and how in turn others saw them. Visualizing Cultures presents images from the historical record uncensored. It is not an art-history or art-appreciation site. Displaying images from the historical record does not represent an endorsement of their content. The founders and directors of Visualizing Cultures are MIT professors John W. Dower, a Pulitzer-Prize-winning historian whose scholarship includes close attention to visual materials, and Shigeru Miyagawa, who holds a joint appointment in linguistics and Japanese language and culture, and is a pioneer in the production and use of digital media for education. Multimedia specialists Ellen Sebring (MIT ’86) and Scott Shunk have conceived and designed the project’s structure and “look and feel” from its inception in 2002. Sebring, Creative Director, designs the Essays, develops the Visual Narratives and adjunct video, and works with authors embarking on a Visualizing Cultures unit. Shunk, Program Director, is the liaison with the partner institutions, authors, and teachers, and develops outreach for the project. Andrew Burstein creates graphic, multimedia, and animation elements. presentation about a festival in Japan. An extensive secondary school curriculum was authored for Visualizing Cultures by Lynn Parisi, Meredith Melzer, Kathy Krauth, Karen Johnson, & Patty Koller and is available here. Workshops and teaching training is actively carried out and the materials are being taught in many schools and used in universities. The units have become widely-used educational resources for secondary school educators, drawing on the site’s curricula, and higher education academics alike. The curricula for VC units “China in the World” and “Yokohama Boomtown” won, respectively, the 2011 and 2009 Franklin R. Buchanan prize from the Association of Asian Studies for best curricular materials concerning Asia. MIT Visualizing Cultures received generous funding from the Andrew W. Mellon Foundation, the Henry Luce Foundation, the Getty Foundation, the Japan Foundation's Council for Global Partnership, the National Endowment for the Humanities, MIT's d'Arbeloff Fund for Innovation in Undergraduate Education, and MIT's Microsoft-funded iCampus project. Visualizing Cultures represents a substantive offshoot of MIT’s OpenCourseWare initiative to make pedagogical and scholarly content freely and widely available. Professor Miyagawa was a member of the committee that first developed this groundbreaking project, which has inspired counterpart initiatives on the Web worldwide. A website developed by Visualizing Cultures for the Gulbenkian Foundation in Lisbon, Visualizing Portugal explores the visual record of the Estado Novo (New State) period, the longest-running European dictatorship. António de Oliveira Salazar rose to power in 1926 and was Portugal's prime minister from 1932 to 1968. The visual media of the time included photographs, albums, maps, official propaganda, tourism posters, illustrated magazines, ephemera from special expositions, and schoolbooks that promoted an official ideology for Portugal. The topical units mix visual narratives, texts, and videos. Original essays also appear on the site. Executive Director, Ellen Sebring.